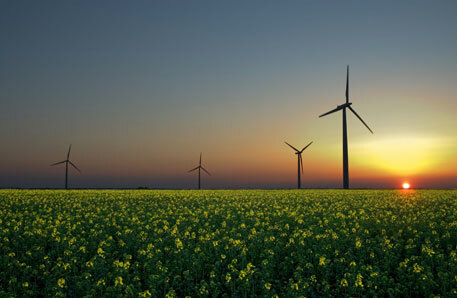 The European Union (EU) has set a target of 30 per cent to increase energy efficiency by 2030. The decision was taken in the recent EU Commissioners’ meet in Brussels after environmental groups and EU countries urged the commission to adopt ambitious and binding targets to improve overall energy security. EU leaders will decide in October whether the target should be legally binding on all the members. EU member states have also set themselves an October deadline to agree on a 2030 climate and energy policy, reports Reuters. The energy efficiency plan comes at a time of growing concern over energy security following Russia’s refusal of natural gas subsidies to Ukraine over a price dispute. There has been mixed response to EU’s decision. According to Blue and Green Tomorrow, EU commissioners have said this target is ambitious and realistic. “Our proposal is the basis to drive EU towards increased security of supply, innovation and sustainability, all in an affordable way. It is ambitious and at the same time it is realistic”, the magazine quotes Günther Oettinger, vice-president of the EU commission responsible for energy. “Our aim is to give the right signal to the market and encourage further investments in energy saving technologies to the benefit of businesses, consumers and the environment”, he adds. Friends of the Earth Europe (FoFE), a grassroots environmental network, continues to maintain its stance that a target of 30 per cent is weak and inadequate. “Europe is crying out for a way to reduce dependence on imported energy. The easiest and safest way to do this is to use less energy. Instead, we’ve got a bafflingly weak target; it’s now up to the European Council and Parliament to push for more”, Brook Riley, climate and energy campaigner at FoFE, told the magazine. Meanwhile, member states like Germany has pushed for a binding energy efficiency goal and a renewable energy target, besides a goal on greenhouse gases, Reuters reports.